First of all, you need to teach your child some of the basics. They won't be able to learn to add successfully, if they aren't aware of what additions are, how numbers work, and why they need to learn basic arithmetic. Likewise, guarantee they know how to count before they begin. A simple way to introduce your child to adding is to skip count. For example, they can count in threes (so, 3, 6, 9, and so on), to become familiar with the mental process required to add. Once again, they should be comfortable with counting first. Adding abstract concepts can confuse and challenge your child tremendously. To make adding easier on them, you can make use of tangible, quantifiable objects. For example, you can give your child apples, ask them to count them, then give them more, and ask them to count it all again. Keep in mind that you shouldn't let them count with their fingers. Lastly, you can help your child practice more so they can develop their math skills in their entirety. One way to do that is to use real life scenarios so they can practice. For example, take them to the store and tell them to add the items you take. 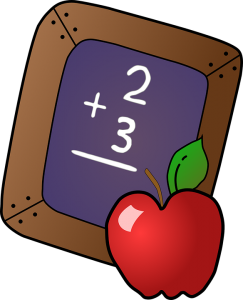 Enroll your child in math tutoring in Lake Forest CA. Call The Tutoring Center, Lake Forest CA at 949-273-3534 to request a free diagnostic assessment.